The story of Vaughn Alexander and his past has been told before. In fact it’s mentioned in everything you read about him other than his official bio on his promoter, Main Events website. Alexander, who is the older brother of former world champion Devon Alexander, spent 11 years in prison from 2005 until his release in 2016. He does not shy away from his past. He accepts what happened and realizes it’s in the past but like everything in your past you learn from it and allow those lessons to make you a stronger person. What matters most to Vaughn now is his family and career. Prior to being sent to prison Alexander was one of the hottest young prospects in boxing having appeared on the undercard of such events as Jones Jr/Tarver 2, Trinidad/Mayorga, among others. “The Animal” jumped out to a great start by going 5-0 with 4KO’s in just six months prior to the legal trouble and seemed to be on the fast track with Don King. He has been boxing since he was 8-years-old under the guidance of his amateur coach Kevin Cunningham, who also coached Vaughn’s brother Devon. 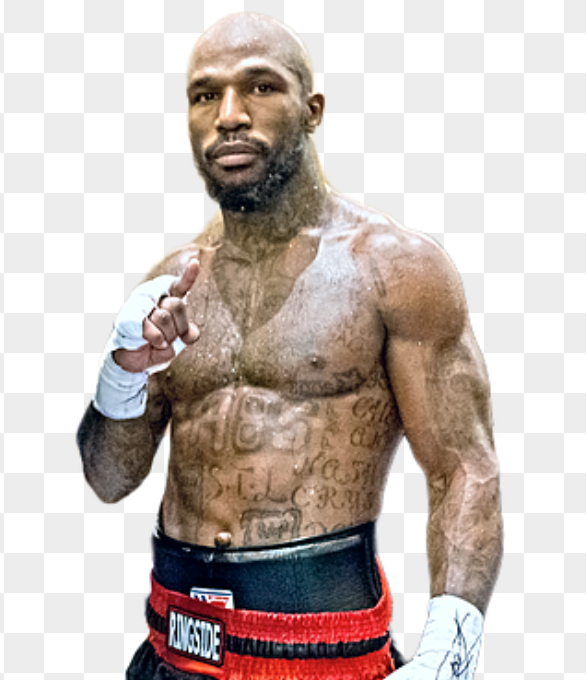 He amassed over 300 fights during a stellar amateur career prior to turning pro in April of 2004 on the undercard of Cory Spinks vs Zab Judah. Now he is with Kathy Duva’s Main Events promotions and is 6-0 with 4KO’s since his return to the ring. He also has switched trainers as he now trains out of Sweat Gym in Clayton, Mo. under the guidance of Ronnie Harris. Alexander doesn’t express any type of arrogance at all when he says that but just the way he sees it. Everybody is an opponent to him no matter the name or the resume behind them, the fact is none of that does any good once they step in the ring. There is no question all the physical tools have always been there for Vaughn to make it to the top of the sport. Now is mindset is right and there is no distractions outside the ring from the street life. After all he has been through in life Vaughn has his career back on track and big things await him in the future. Boxing and life in general is good now, after doing his “hard time” he’s ready to enjoy these good times as the sky is the limit for Vaughn Alexander and this writer, for one, has little doubt he is capable of accomplishing his goal of becoming a world champion.